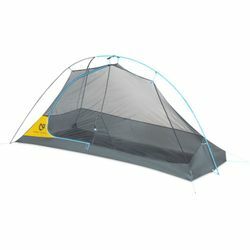 NEMO Hornet Elite Ultralight 1P Backpacking Tent. Hornet™ Elite is the ultralight tent of choice for extreme minimalists wanting the best in technical materials and design. Top shelf fabrics and a minimal pole structure shave every ounce possible, while our latest updates and new patent-pending Flybar™ volumizing clip adds even more room without adding any weight.